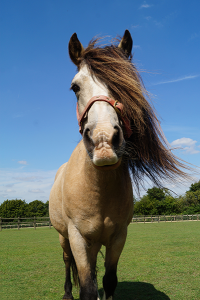 Redwings Ada Cole is the perfect place to meet rescued horses, ponies, donkeys and mules nose-to-nose – from irresistibly fluffy Shetland pony Tinkerbell to cheeky wheeling and dealing donkeys Del Boy and Rodney. Our visitor centre, near Harlow, is part of the UK’s largest horse sanctuary, Redwings Horse Sanctuary, which provides a safe and happy home to over 1,500 rescued horses and donkeys nationwide. As a Visit England Quality Assured Visitor Attraction, Redwings Ada Cole offers animal lovers the chance to get up close and cuddly with over 70 of its adorable residents and hear their stories, including the charity’s teeniest resident Tucker and the King himself – yes, Elvis the rock ‘n’ roll pony! And, best of all, it’s completely FREE! After making plenty of new four-legged friends, visitors can enjoy hot drinks and tasty snacks in the Nosebag Café, while there’s also an on-site gift shop offering a range of souvenirs, with all proceeds supporting the hundreds of animals in Redwings’ care. You might also like to sponsor one of the charity’s lovable Adoption Stars, either for yourself or as a thoughtful gift for a friend or loved one. A year’s adoption costs just £15! Redwings Ada Cole is open all-year round every Friday, Saturday, Sunday and Monday, from 10am to 4pm (closed Tuesdays, Wednesdays and Thursdays). Entry and parking are free, with dogs on leads welcome.